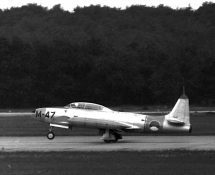 As a two-seat jet trainer the Lockheed T-33 – commonly known as ” T-Bird” – was developed from the F-80 Shooting Star jet fighter during the Fifties. 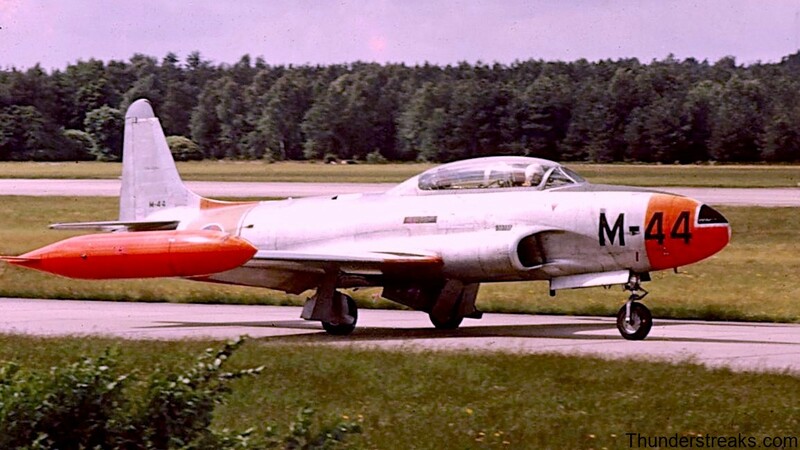 The design was such a success that no less than about six thousand of these aircraft were built and delivered not only to the U.S. military forces but also to their foreign allies under the MDAP-pact (Military Defense Aid Programme). 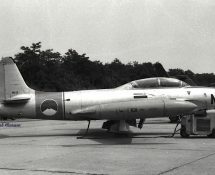 License-building of the type was undertaken in Canada and Japan. 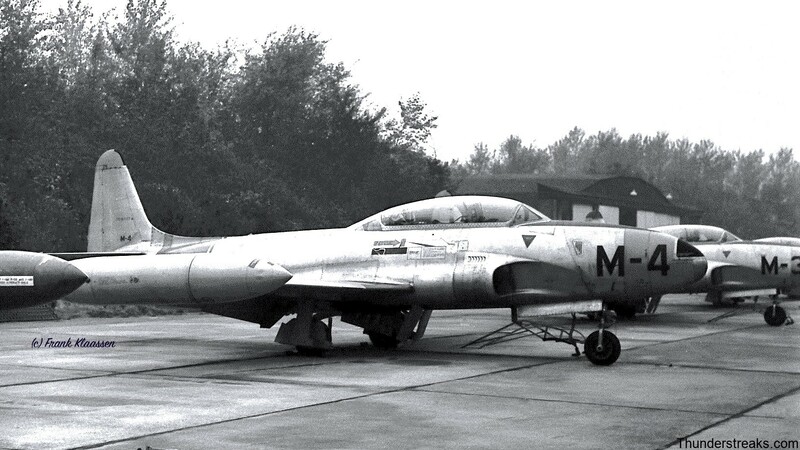 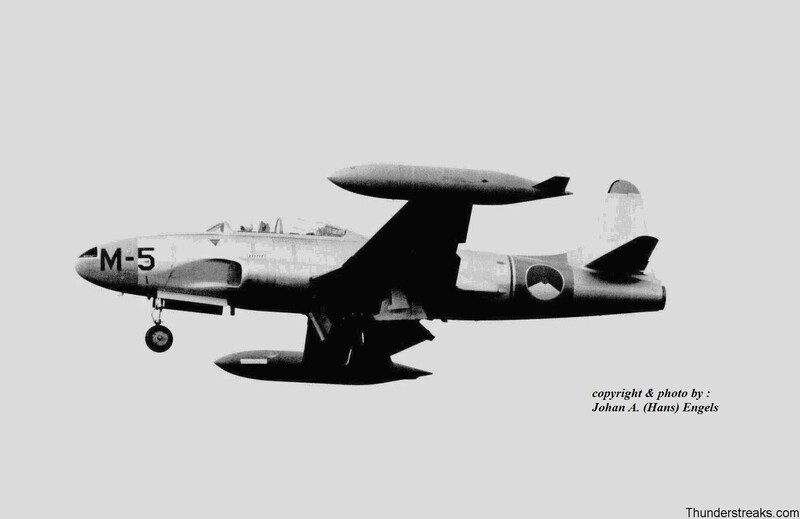 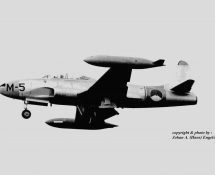 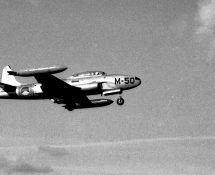 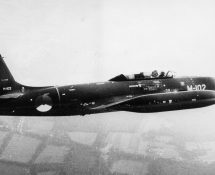 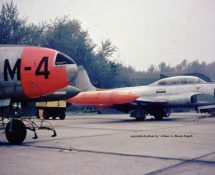 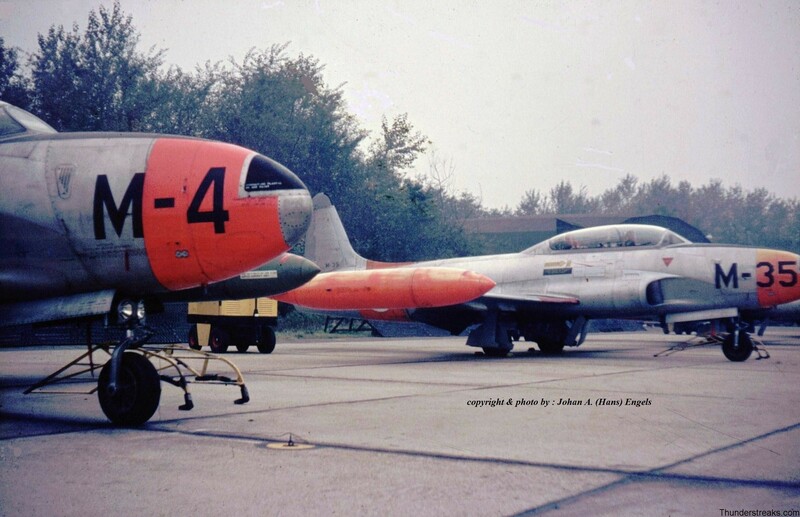 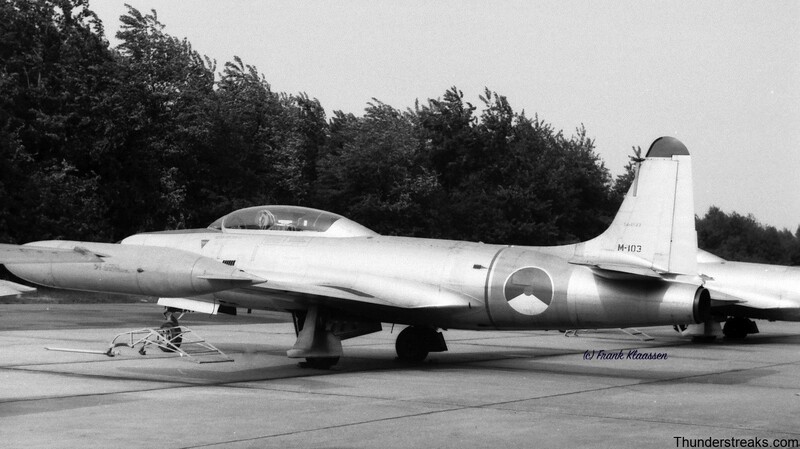 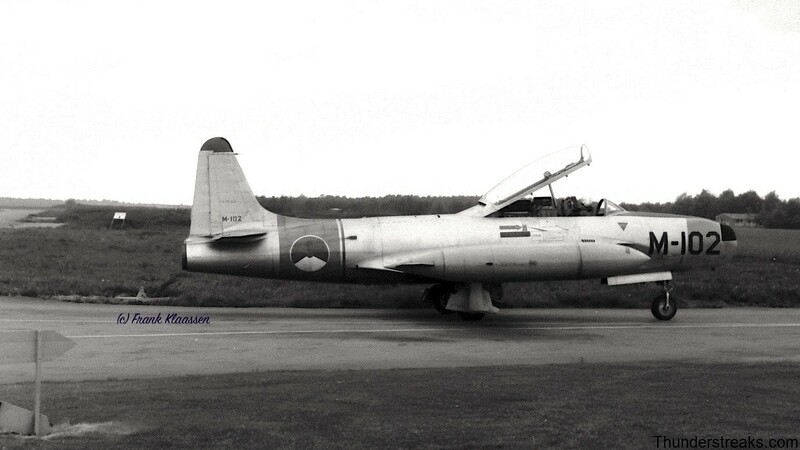 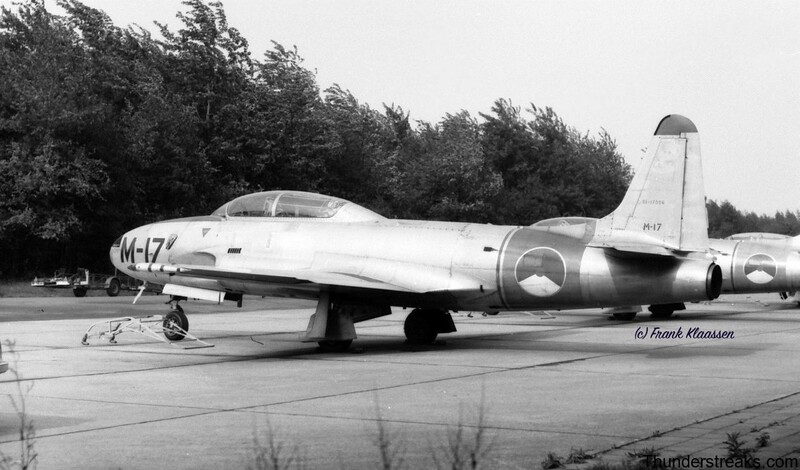 The Royal Netherlands Air Force (or : KLu.) 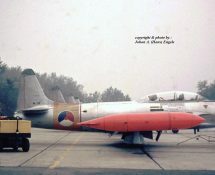 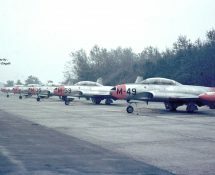 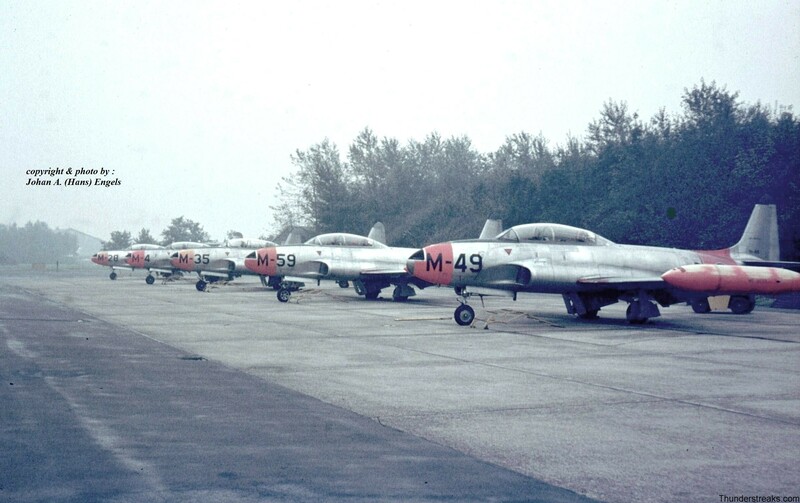 had in total 60 T-33’s in service that were received from different sources (serialled M-1 to M-60) and three RT-33’s for special duties (M-101 to M-103). 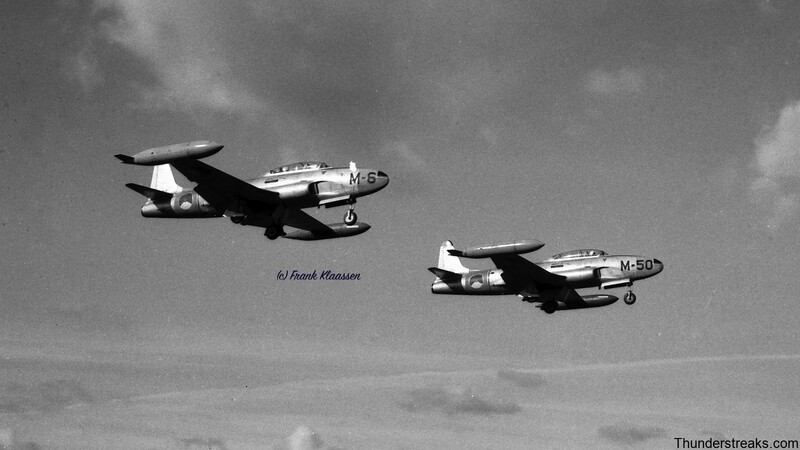 Many pilots from the Fifties to the Seventies received their advanced training on these two-seater jets and they were also used for aerobatics : the demo-team Whisky Four attracted much attention at the time with their excellent four-ship formation flying. 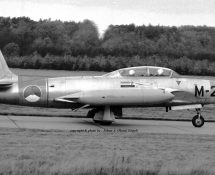 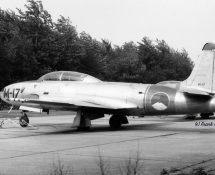 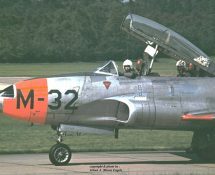 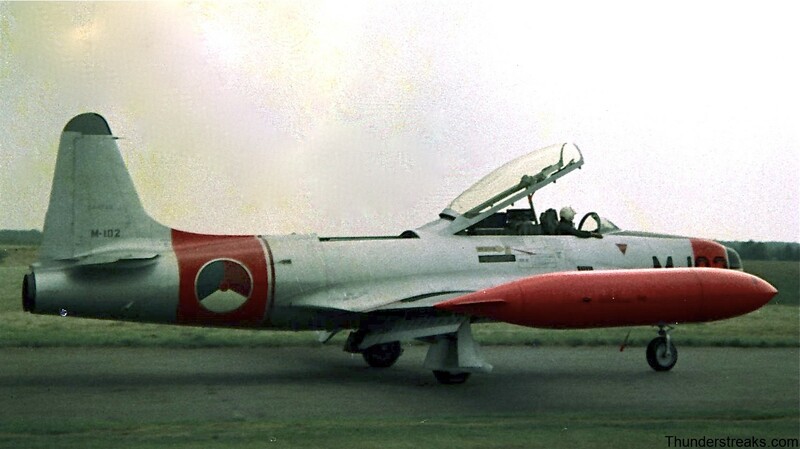 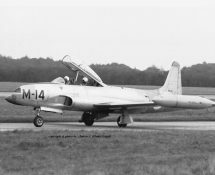 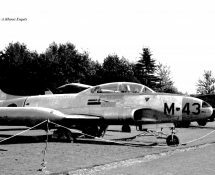 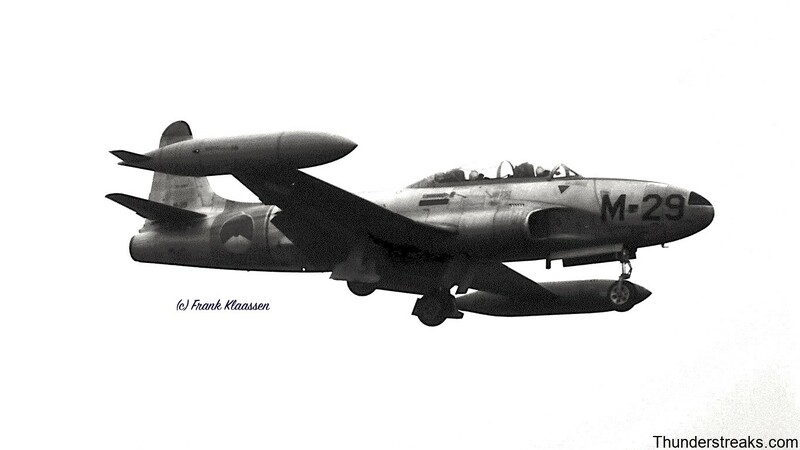 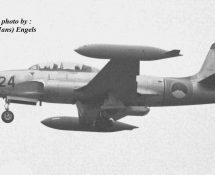 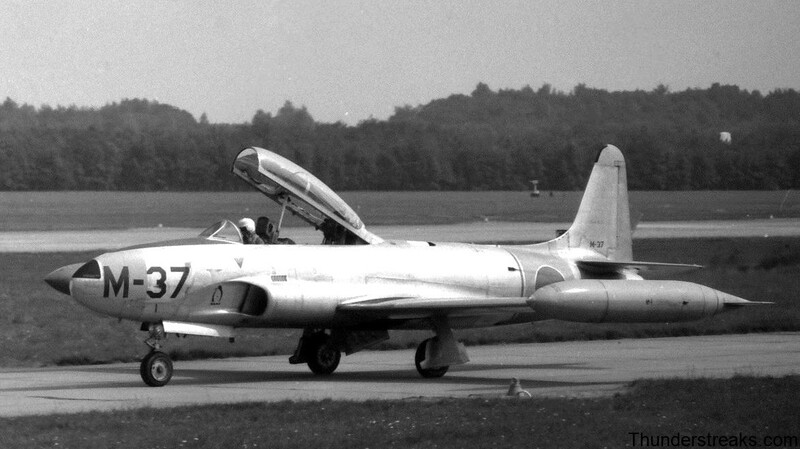 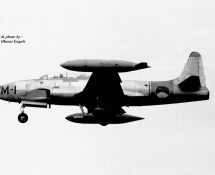 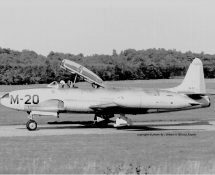 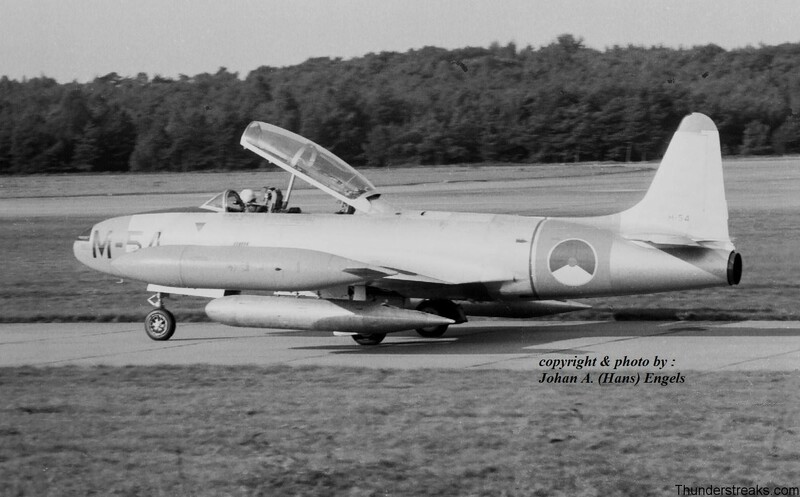 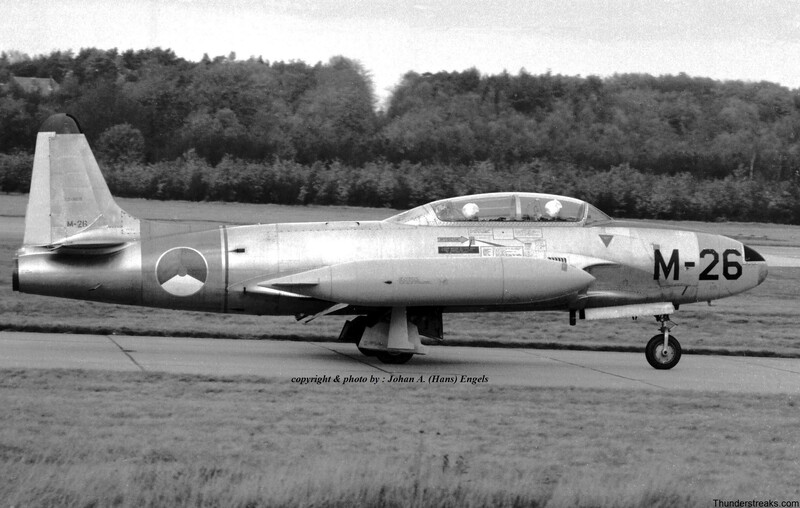 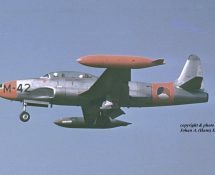 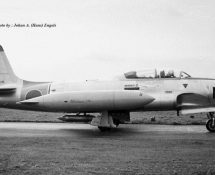 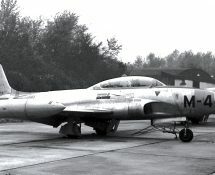 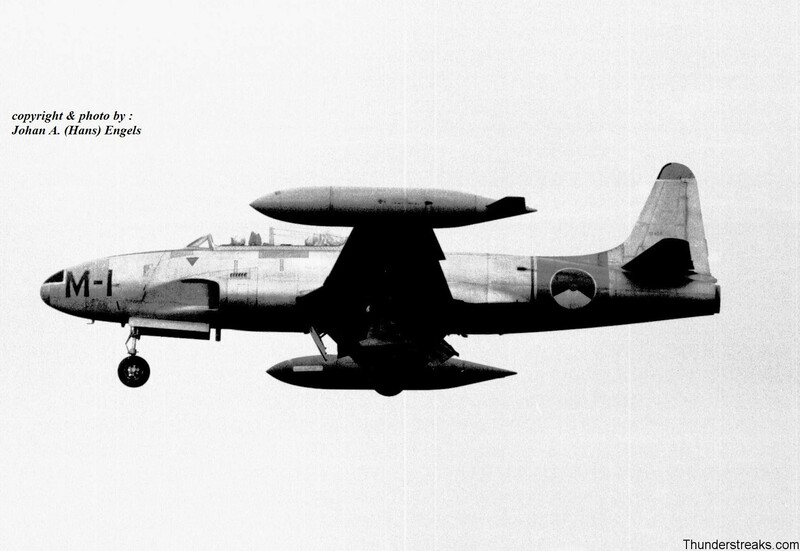 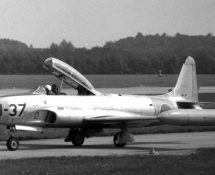 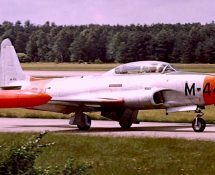 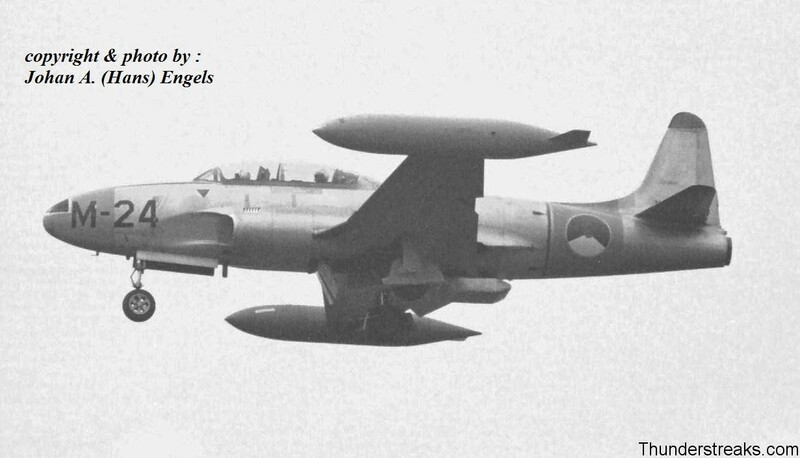 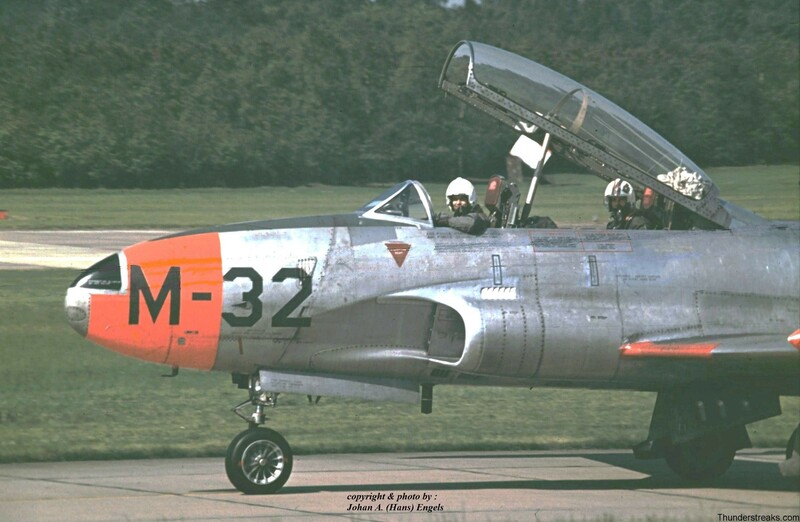 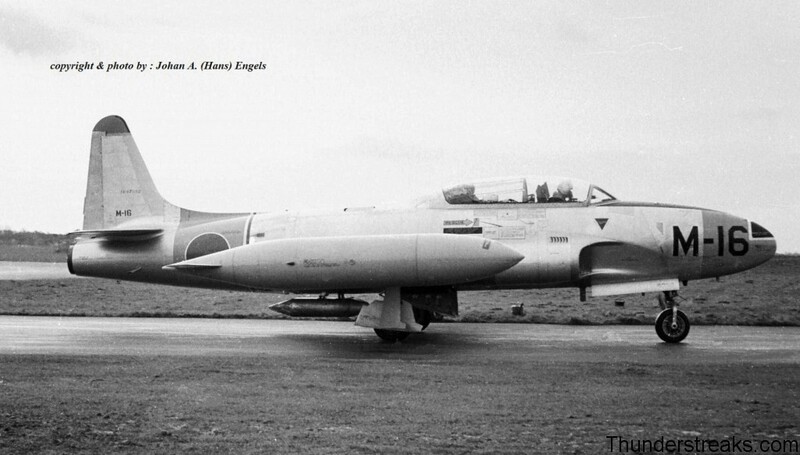 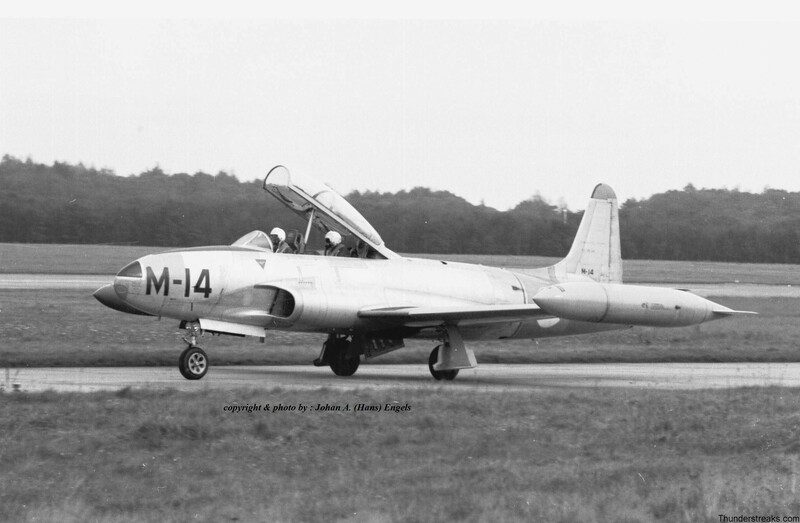 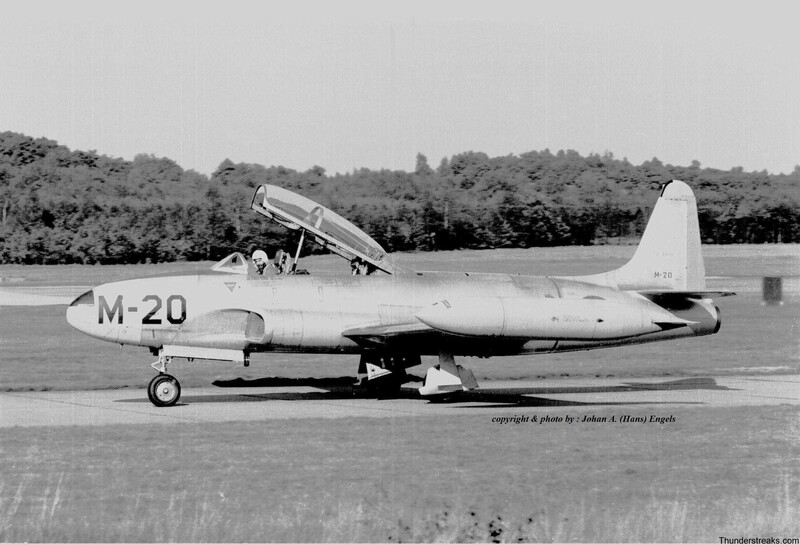 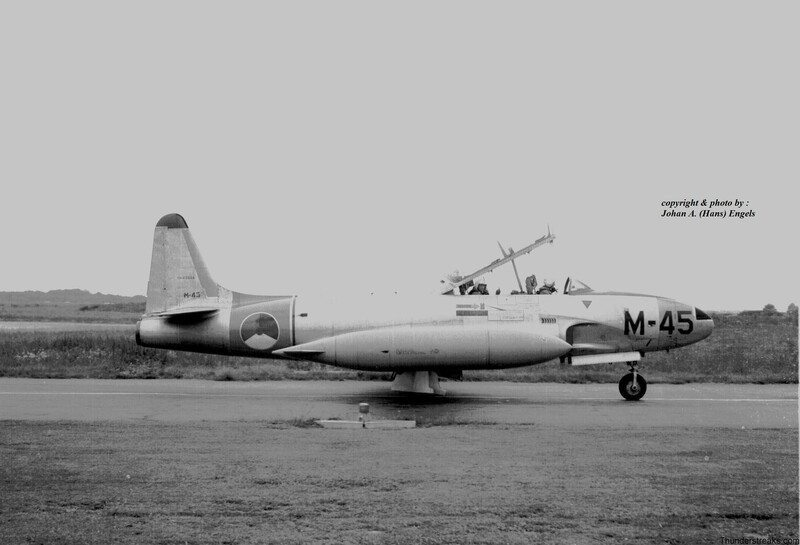 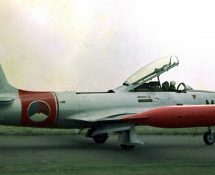 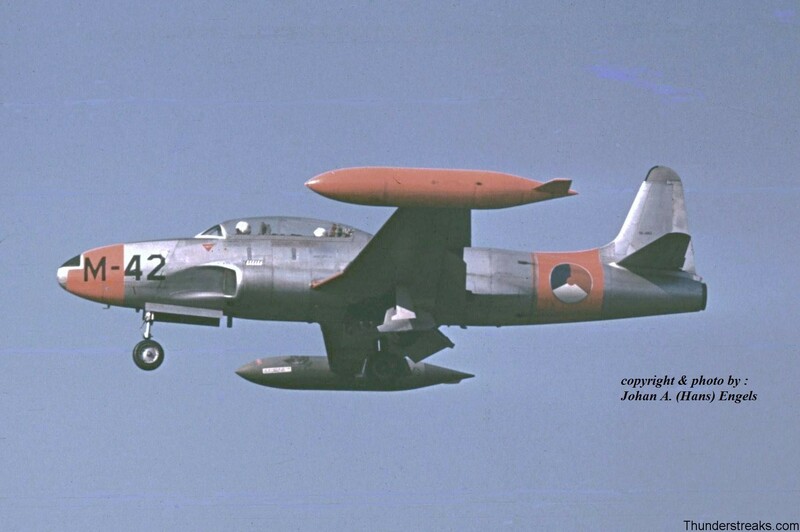 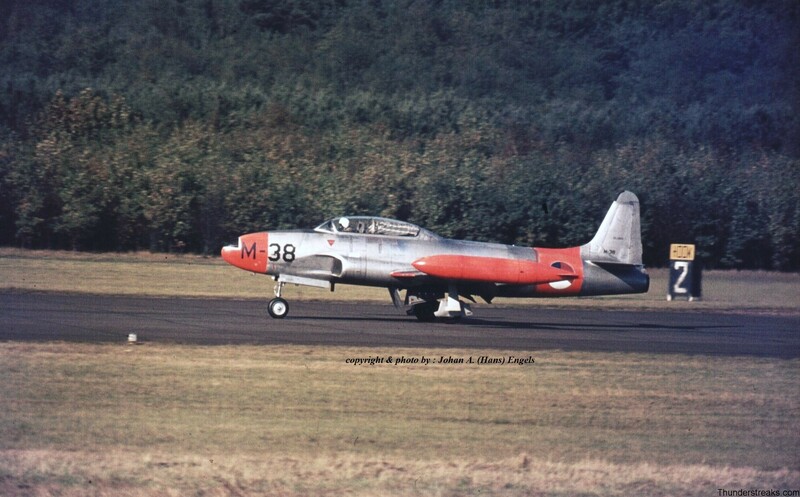 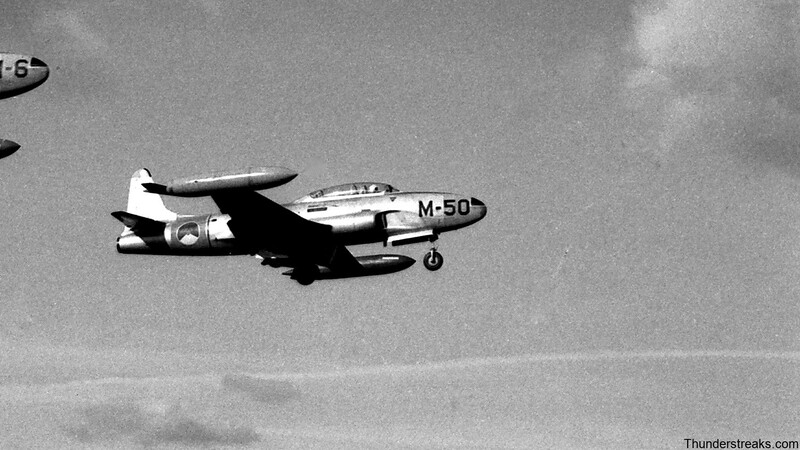 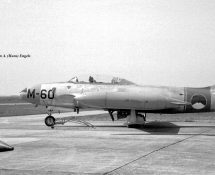 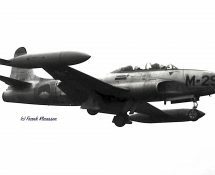 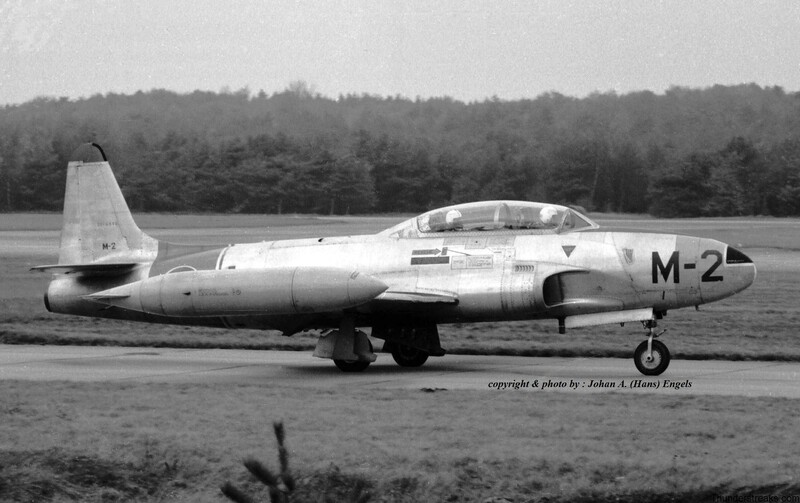 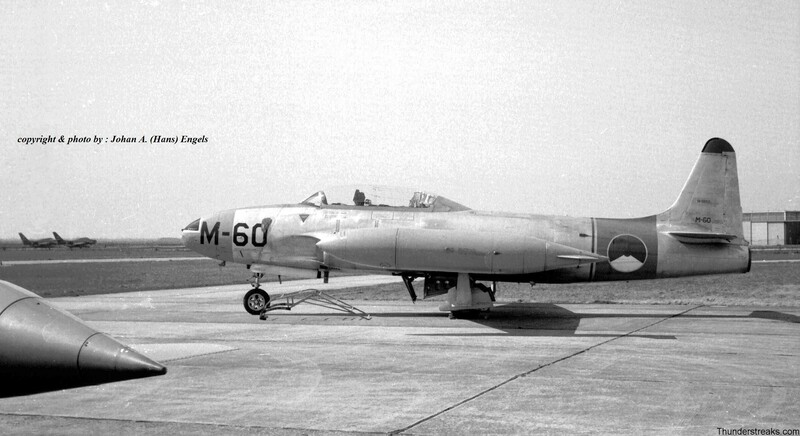 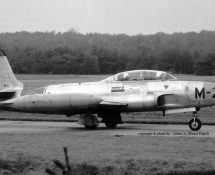 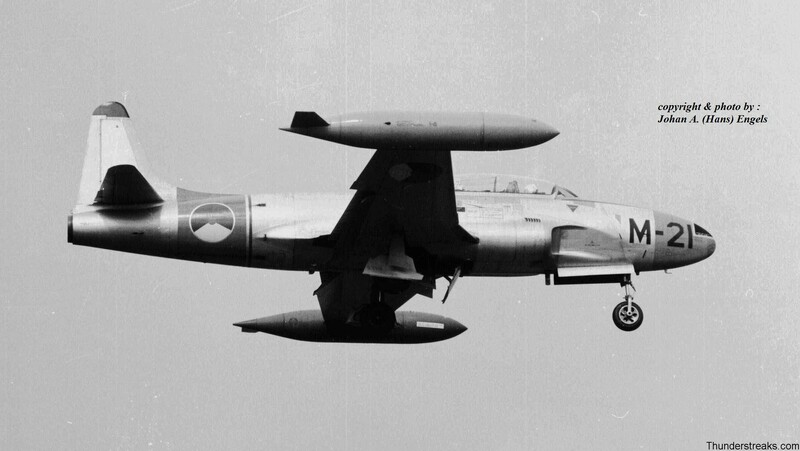 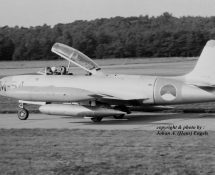 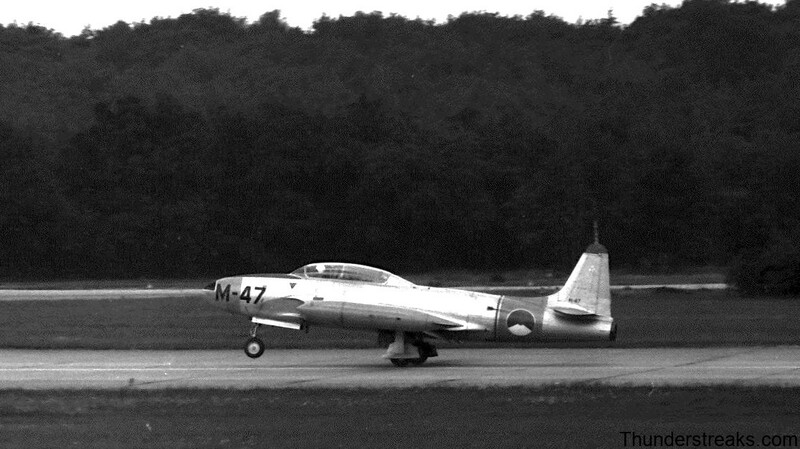 The last operational KLu-flight with the T-33 took place in June of 1972 and many aircraft were transferred to other (NATO-)countries for further use. 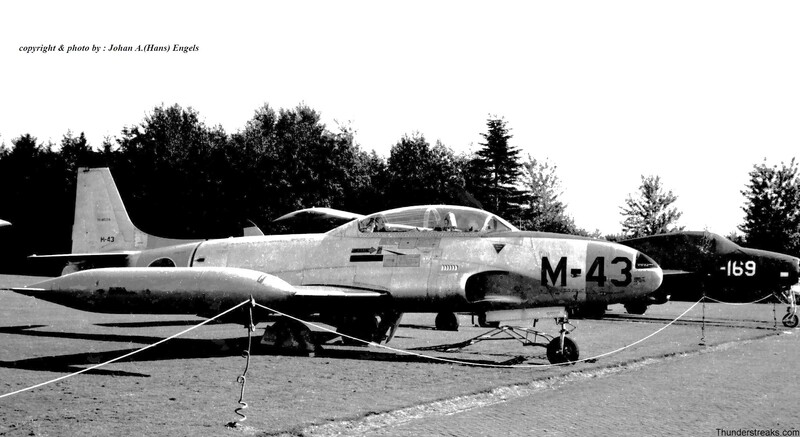 The aircraft serialled M-5 , M-50 and M-54 (the latter painted in Whisky Four-colours as “M-52”) are being preserved in the Netherlands today. 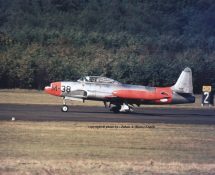 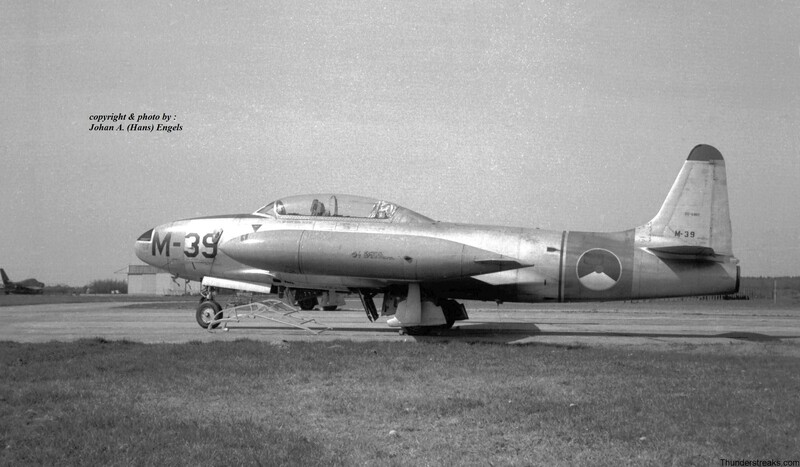 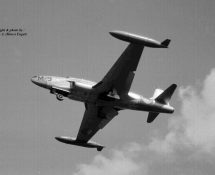 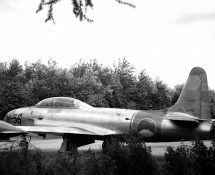 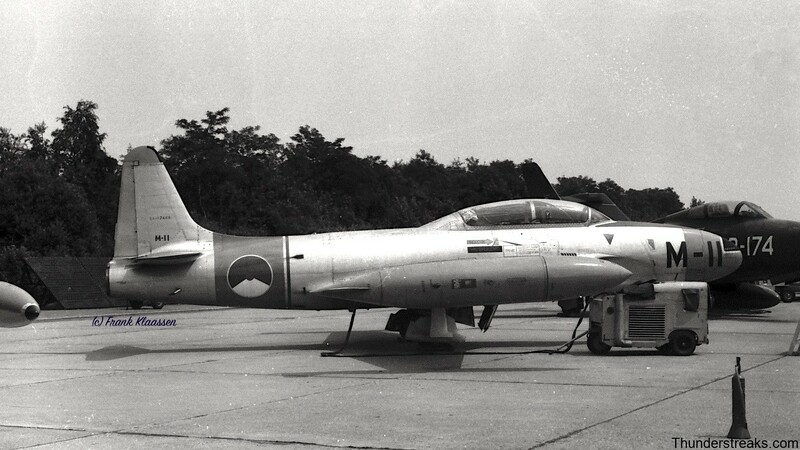 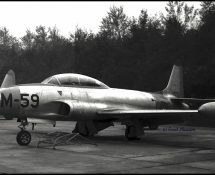 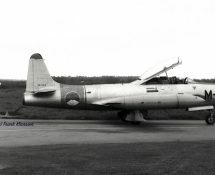 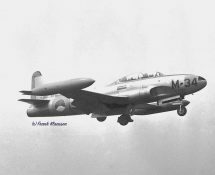 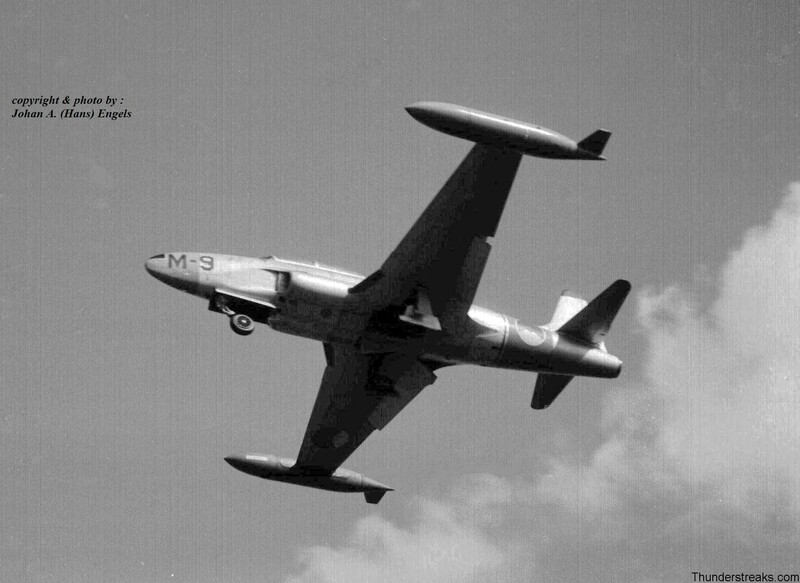 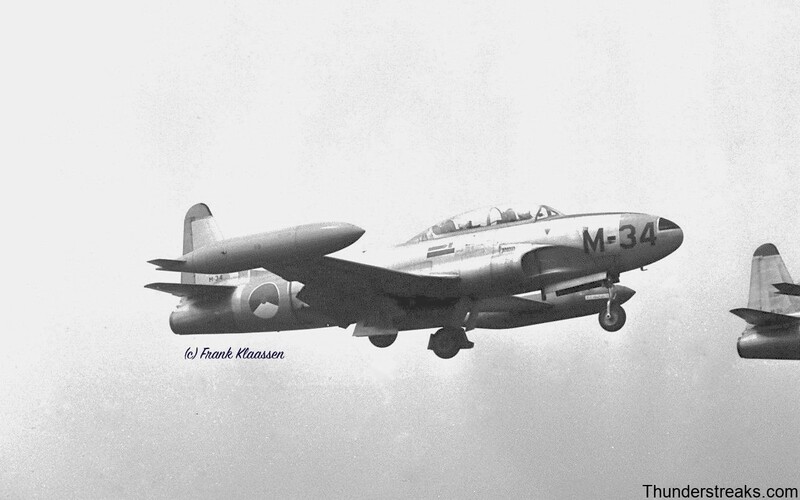 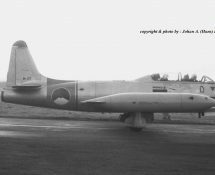 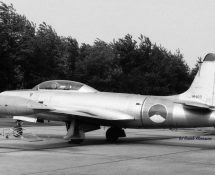 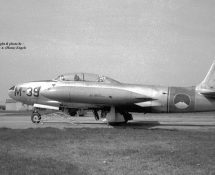 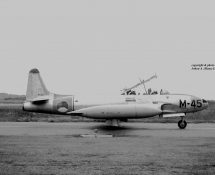 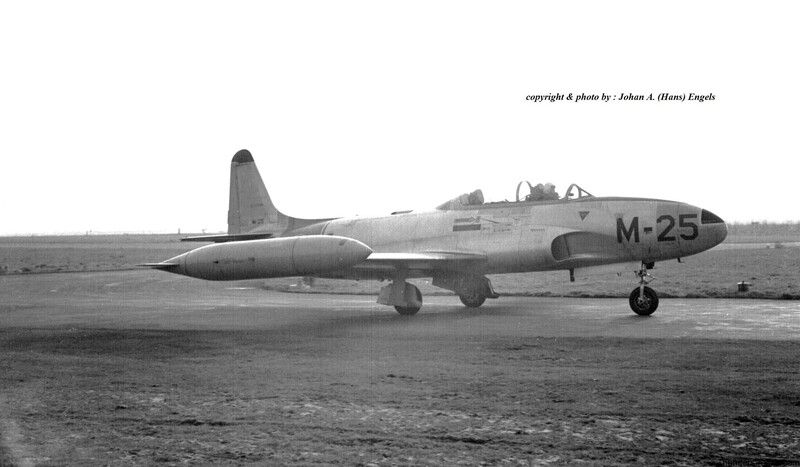 The T-33 has been a well known type of aircraft for us since we have seen hundreds of them flying during their operational period. 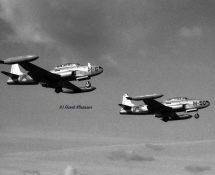 The pictures we show you here are sometimes taken under difficult circumstances. 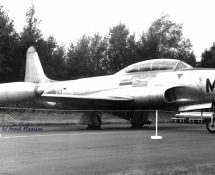 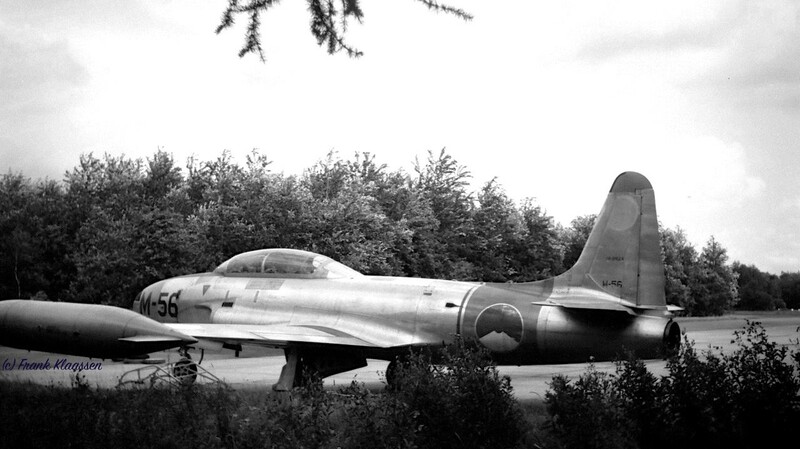 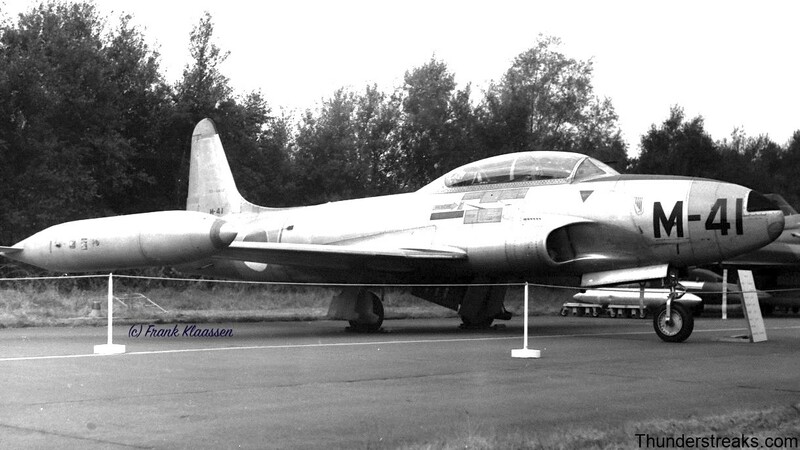 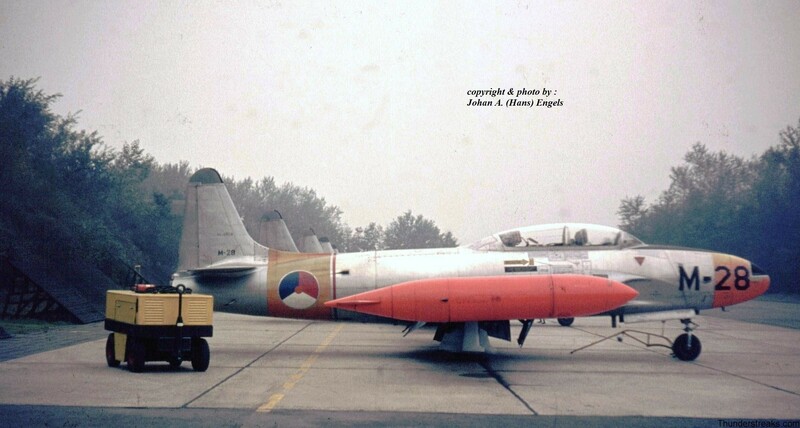 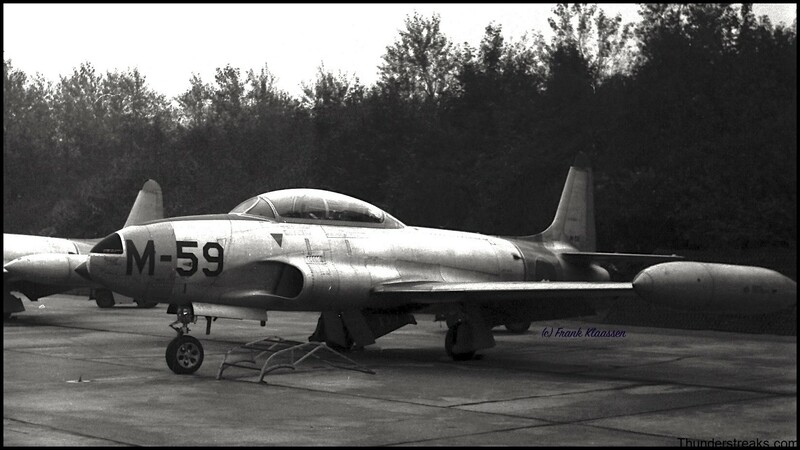 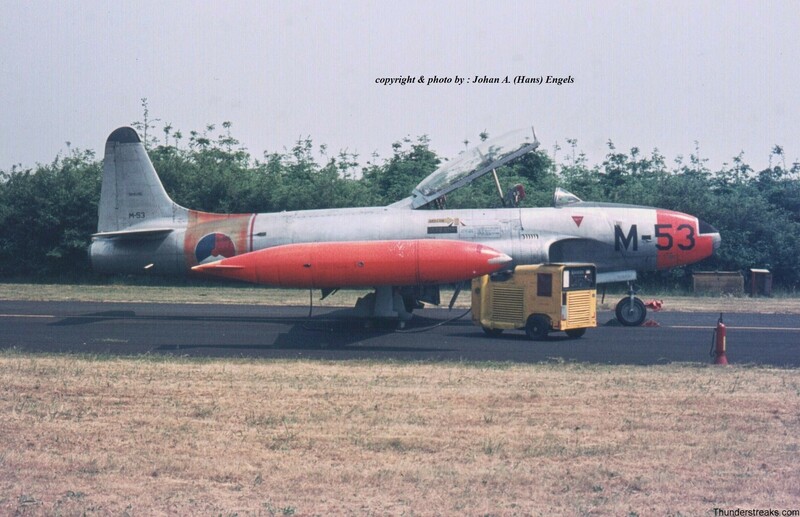 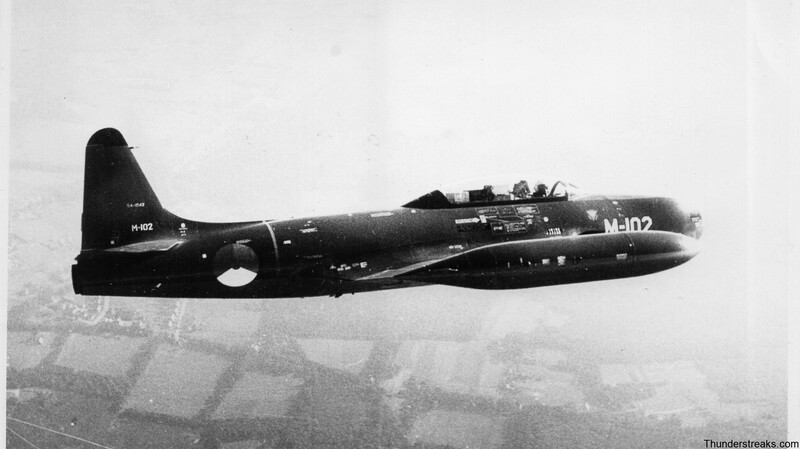 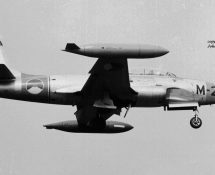 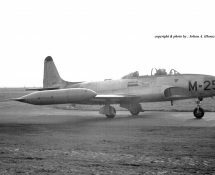 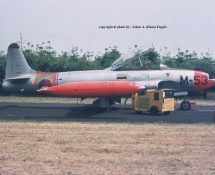 Enjoy this gallery dedicated to the LOCKHEED T-33 “T-BIRD” !